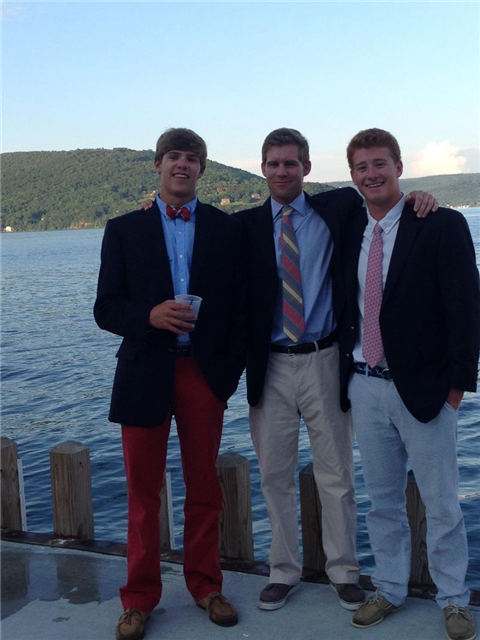 Our very own Vincent Porter made some noise in the 2013 ECESA Championship Regatta last week on Keuka Lake having earned a first place title with crew members RJ Porter, and Colin Rowe. A field of fifty-six crews participated in the eight-race national championship, and Porter stood out among the rest. A full re-cap of the results can be found here. The New-Yorkers of Keuka Lake were joined by ambitious sailors from all over the mid-west and northeast. According to Bob Cole, the E-Scow Fleet Captain at the Keuka Yacht Club who blogged updates on the series each day, the majority of wind that swept over the lake during the competition was predictably westerly, but not without a fair share of surprises. Day one at Keuka proved to be a tale of two troops, with a minority of four leaders in front, including Vincent Porter I-2, John Brown SS-1, and Bobbie Koar BH-22. After a morning of light rain and steady, southerly winds, the afternoon brought with it a slew of wind that lacked predictability. Sudden blasts from the west came early and often, nearly leaving Porter behind indefinitely. Day two included three races that were rich with intensity and erratic wind conditions. Vincent Porter managed to take one of the three races while maintaining a two-point lead at the end of the day, just as storms seemed to be looming over the deep lake. The two races that took place during day three were navigated by Porter with just enough consistency that allowed him to edge out the other sailors. Bobbie Koar, who went into the day only two points down from Porter, was unable to conclude the series with a favorable performance in comparison. Congratulations to the 2013 Eastern Champion Mr. Porter and crew, and to all of the other competitors that concluded the championship series last Sunday with class and remarkable effort!